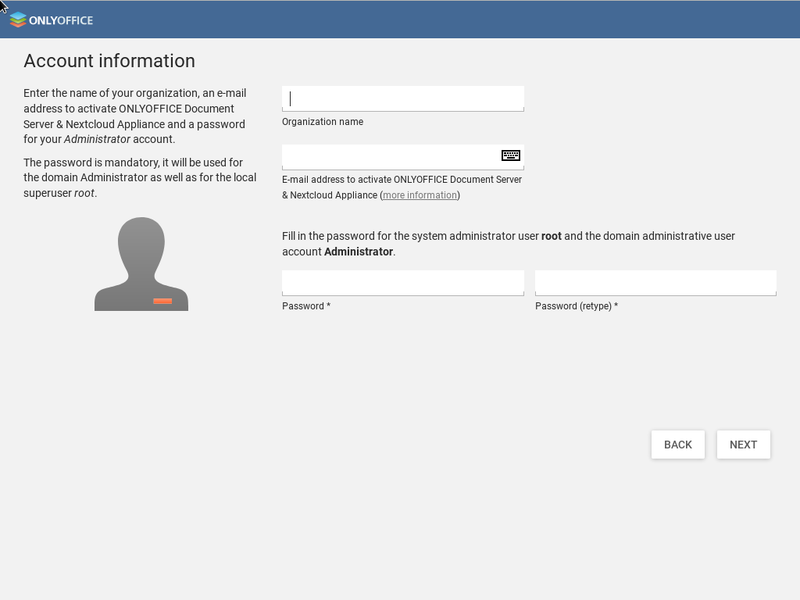 ONLYOFFICE is an open source solution distributed under GNU AGPL v3.0. It comprises online editors for texts, spreadsheets and presentations fully compatible with Office Open XML formats (.docx, .xlsx, .pptx), as well as enables collaborative document editing. Nextcloud is an open source file exchange and content collaboration platform. ONLYOFFICE integrated into Nextcloud allows users to co-edit their documents simultaneously right within Nextcloud. If you are a Nextcloud user already, you can integrate it with ONLYOFFICE online editors following this tutorial. 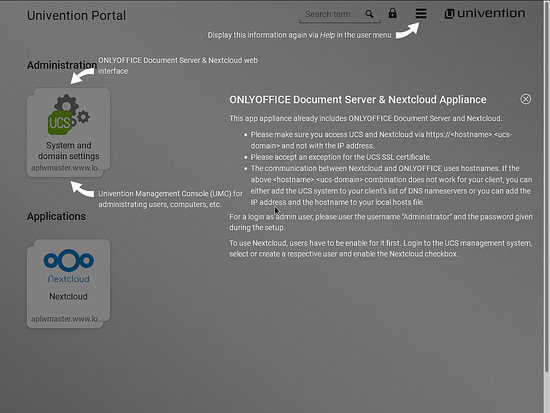 If you are new to Nextcloud, you can install already integrated solutions all at once using app appliance from Univention Corporate Server. 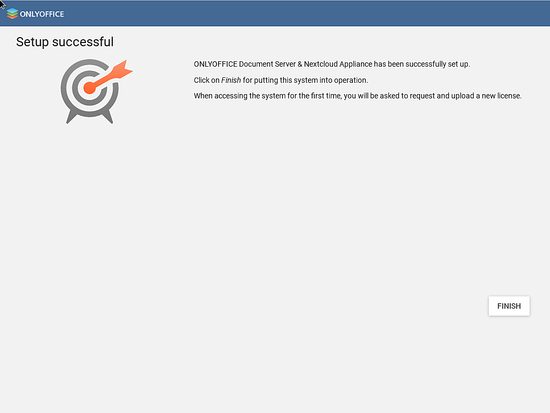 To learn more about Univention virtual appliances (and in case you are a ownCloud user and would like to get ONLYOFFICE in combination with ownCloud), see the previous guide. 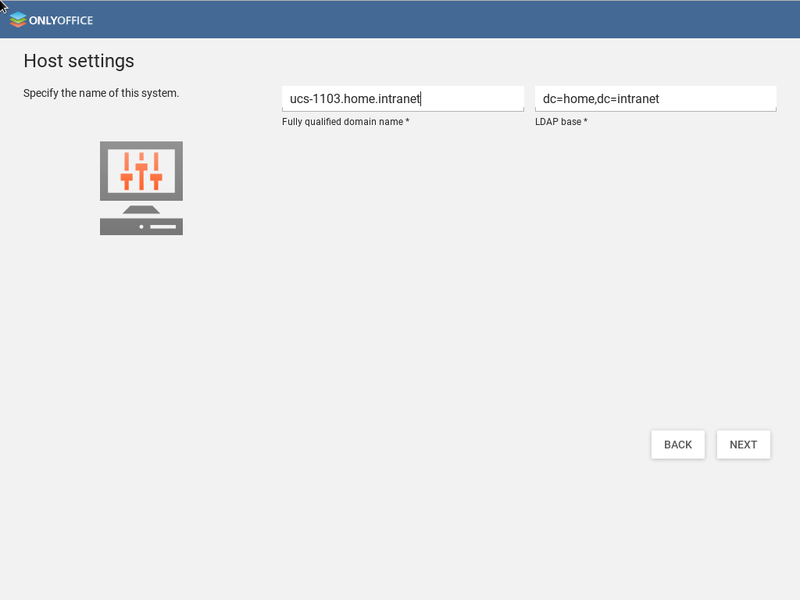 Open the hypervisor and import the ONLYOFFICE-Nextcloud virtual appliance. The required steps are different depending on the installed hypervisor. Start the Virtual Machine with ONLYOFFICE and UCS, going through the booting process via the installation wizard. Enter the nearest city to adjust the correct timezone, system language, keyboard layouts, etc. 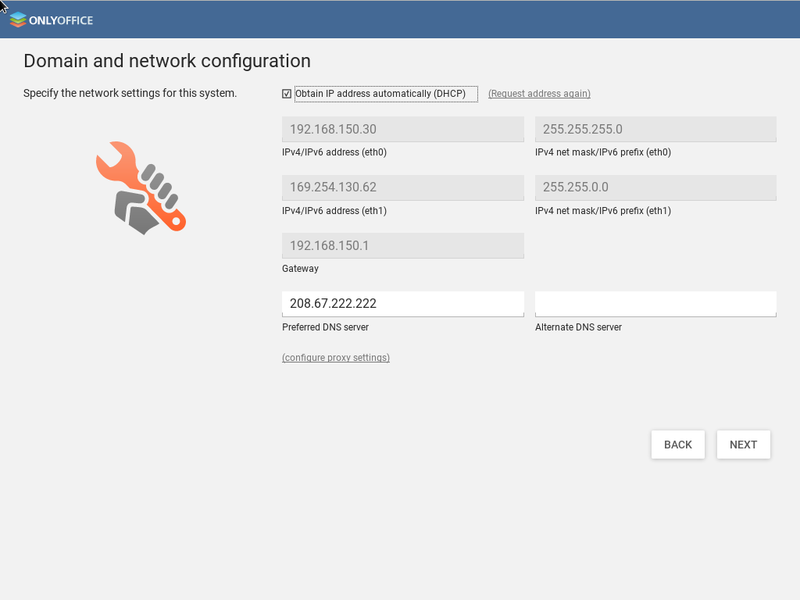 Specify IP addresses manually, or choose the automatic option. 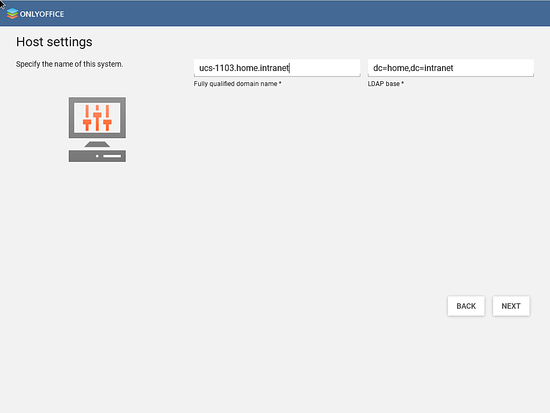 Enter the address of the DNS server where the system will be hosted. Fill in your company name, admin email address to activate ONLYOFFICE Document Server and Nextcloud Appliance, and create a new password. Review your settings and make sure everything is filled out correctly. Click the CONFIGURE SYSTEM button. 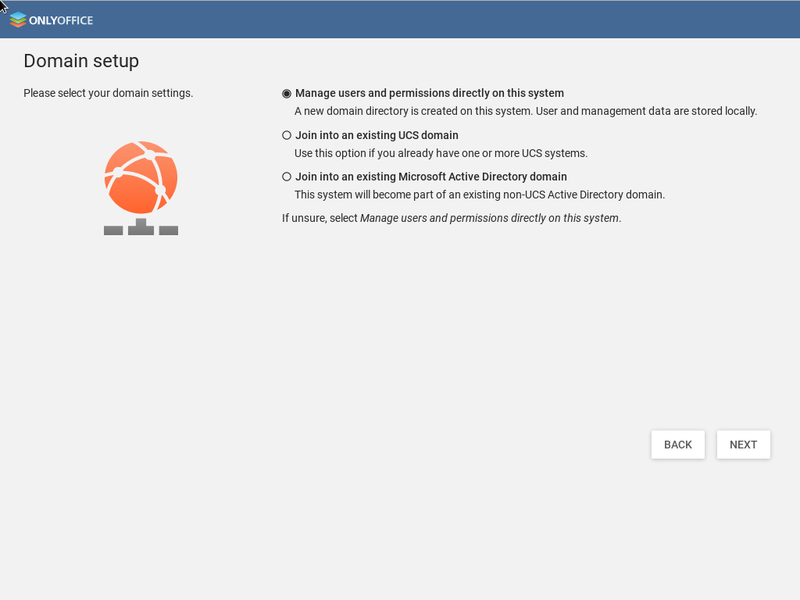 Once configured, start your new ONLYOFFICE-Nextcloud system in the UCS platform. Therefore, the apps work out of the box, and all the elements are auto-configured making sure everything works properly without manual steps on the part of the administrator.